The Most Profitable Wine in the World? What’s the most profitable wine in the world? Not the most expensive single wine (like Chateau Pétrus or Screaming Eagle), but the most profitable type of wine? Guardian wine critic Tim Atkin raised this question is a recent article called “Bottle Banks” and it is interesting to think about what the answer might be. Profits, of course, are all about the difference between price and cost. So which country gets the highest average price for its wine exports? Most people are surprised to learn that it is New Zealand (see footnote below). New Zealand is unusual among wine producing countries in that its exports are almost entirely premium and super premium wines. The domestic Kiwi market for low cost bulk wines is filled by imports from Australia and Chile, leaving NZ producers free to focus on higher value export markets. This nearly single-minded concentration on upmarket wines results in high average export prices. New Zealand would therefore be a prime suspect for the most profitable wine-making country – if higher production costs don’t offset the price advantage. I was sitting talking to the owner of a top New Zealand Sauvignon in Australia recently when he proudly took out his mobile phone and showed me pictures of his bespoke Maserati. ‘Kiwi Sauvignon is cheap and easy to make and commands a premium,’ he explained. ‘And by the time I have to pay my growers for their grapes, the wine is already on the market. He’s got a point. 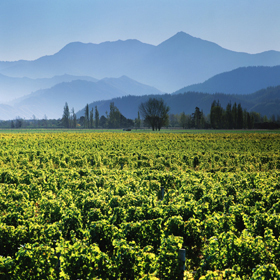 Marlborough Sauvignon generally produces heavy crops (partly a result of fertile soils, but also of vineyard practices). Once it’s in the winery, all the average producer has to do is crush the grapes, add yeast and ferment it at a cool temperature in stainless steel. A matter of days later the wine is ready for bottling. Nothing could be simpler really, although I didn’t know you could make wine in just a few days. I wonder why everyone doesn’t just get up and go to Marlborough to make Sauvignon Blanc? Since economists are trained to be suspicious of easy money stories like this, I thought it would be interesting to talk to someone in the New Zealand industry about profitability. So I wrote to Neal Ibbotson, managing director of Saint Clair Family Estate Wines in Blenheim (Marlborough). I met Neal in 2004 when I was doing research for a book on globalization. Neal was a pioneer winegrower in the Marlborough region — Neal and Judy planted their first vineyard there in 1978 — and someone whose knowledge and opinion I value a lot. The 2003 Saint Clair Wairau Reserve Sauvignon Blanc that I sampled on that visit was the most memorable NZ wine I have ever tasted. Neal didn’t comment on the Guardian article directly, but what he had to say helped me understand the hidden complexity of the situation. Marlborough Sauvignon Blanc can in fact be a pretty profitable wine, but that doesn’t mean that everyone is rolling in cash. It is very profitable for the best grape growers on the best soils where they can combine relatively high yields and high quality. Say 5% of Marlborough’s growers. These growers deservedly reap the benefit from having out laid the capital and taken some risk and are very fortunate that the grapes they grow are a unique product, in strong demand. This is clearly a more realistic picture of the NZ wine industry. There some firms that are very profitable due to cost advantages or because they are able to leverage unique assets, like reputation or special vineyard characteristics. But there are other firms that, lacking these advantages, scrape by or lose money. Distribution is the big bottleneck in the global wine business, and wineries with access to efficient distribution have a head start towards profit goals. Inevitably in any industry with heterogeneous inputs and outputs, the profit profile is complicated. This reminds me of a discussion I had with Jane Hunter of Hunters Wines in 2004. (Hunters was one of the first NZ Sauvignon Blancs to break into the key British Market and establish the region’s reputation there). What is the biggest threat to your industry, I asked her. The appreciation of the NZ dollar, she replied without hesitation. Tim Atkin might be right about Marlborough Sauvignon Blanc, but he’s also wrong. I think it must be a very profitable wine for some (I wonder … was he talking to someone from Cloudy Bay? ), but making wine and then making money making wine isn’t as easy as he suggests, even in Marlborough.